Do you love Bunnies, and love Easter? 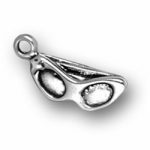 Our Sterling Silver Two Bunnies Charm is a delicately cute charm to add onto your charm bracelet, or necklace this Easter! Create a custom Easter Charm bracelet this holiday season with our Sterling Silver Two Bunnies Charm. Add the Sterling Silver Two Bunnies Charm to our Joyful Colors Swarovski Charm Bracelet to create the perfect charm bracelet for the Easter holiday. 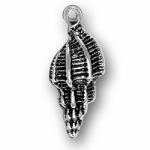 Do you love bunnies and the symbolic meaning of fertility, family and new life? Add the Sterling Silver Two Bunnies Charm to your charm bracelet or necklace to showcase the love that you have for bunnies or the faith that you have in bunnies! 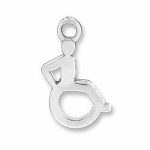 Our Sterling Silver Two Bunnies Charm is made with .925 Sterling Silver and the charm will be beautiful on any charm bracelet or necklace. 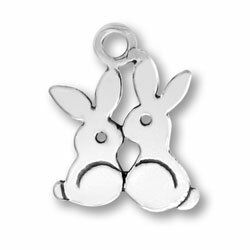 Add the Sterling Silver Two Bunnies Charm to your current charm bracelet or create a new charm bracelet to showcase your love for bunnies and new life. 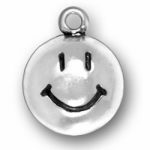 Our Sterling Silver Two Bunnies Charm is made right here in the United States and made with high quality .925 Sterling Silver.